Finding the right truck, whether it is for work or personal use, is often easier said than done. There are so many trucks with different configurations that it is hard to know what you're getting yourself into. The 2019 Honda Ridgeline takes a lot of the guesswork out of buying a new truck. The Ridgeline provides plenty of space for hauling both passengers and cargo and has an excellent ride quality due to the way its independent rear suspension is crafted. Very few things have changed for the 2019 Honda Ridgeline. Two USB charging ports now come standard across the RT trim and higher, and the RTL and RTL-T trims now come with standard moon-roofs and rear windows that are power-sliding. Also, the Honda Sensing suite of advanced driver aids now comes standard on the Black Edition and RTL-E trims. Other than these minor changes, almost everything carries over from the 2018 models. Regardless of which trim level you get, you will find that interior space is plentiful. This crew cab offers more interior space than many of its competitors, and passengers of any shape and size will have no problem finding their way into a comfortable seated position. Both the front and rear seats have plenty of leg, hip, shoulder, and head room. Even the base RT trim comes with an innovative two-way tailgate. This allows you to open the tailgate in a normal downward motion or out to the side. The thought behind this is that, depending on what you are trying to unload, getting it out of the bed will be much easier. This is especially helpful if you're trying to grab something that is loaded in the back of the bed. The 2019 Honda Ridgeline has something of an SUV-esque feel with its four-wheel independent suspension. In fact, it is currently the only midsize truck to offer such a design. This type of suspension makes going over all types of road surfaces feel smooth and effortless. You will not feel the rattles and bumps that you get in other trucks. The torque-vectoring system that you get on the Honda Ridgeline is something you will not find anywhere else. This set-up helps the Ridgeline remain stable regardless of how slick or rough of a road terrain you take it out on. All-wheel drive is an option on almost all of the trim levels, but it comes standard on the Black Edition and RTL-E. The 2019 Honda Ridgeline pairs a 3.5-L V6 engine with a 6-speed automatic transmission, which is found in every trim across the line-up. This pairing is surprisingly efficient in this midsize truck, garnering 280 hp and 262 lb-ft of torque. It is more than enough to give the Ridgeline an acceleration speed of a mere 7 seconds while going from 0 to 60 mph. That is sure to leave its competition in the dust. Steering on the Honda Ridgeline feels steady and reassuring. There is never any question about where the truck is going to go, and it can easily be guided through all types of turns. Drivers might enjoy how sedan-like the steering feels as it gives an appropriate amount of responsiveness, never becoming tiresome or uncertain. At no point does steering the Ridgeline feel too sharp either. One of the most unexpectedly exciting aspects of the 2019 Honda Ridgeline is that there are plenty of physical knobs and buttons for everything from the infotainment system to the climate control. The truck's tri-zone automatic climate control is especially easy to use, and the driver won't have to waste time searching for and learning digital controls. Also, the rear seat air vents provide a nice and steady flow of air to occupants. Since the Ridgeline sits somewhat low to the ground, getting in and out of the truck is relatively simple. Those who struggle with mobility issues or are somewhat short in height will not have to utilize extra upper body strength to pull themselves into the Ridgeline since the step up is relatively small. Additionally, the front doors open out pretty wide, so there is plenty of room to slide into the seat. Nothing about the 2019 Honda Ridgeline will make you think it is simply an economy vehicle. The interior is actually well-designed with high-quality materials. All of the materials seem like they are able to withstand the wear-and-tear that years of driving a family around can take on a vehicle. In fact, the cabin reflects a certain level of sophistication that is hard to find in other midsize trucks. Some drivers might be surprised to learn that the Honda Ridgeline has the highest payload rating in its class. Depending on which configuration you get, the Ridgeline can haul between 1,451 to 1,586 pounds. It is also worth noting that the short bed is longer than what you find on the average crew-cab in this class. Plus the bed has a dent-resistant texture so that you won't have to worry about causing damage with bulky objects. One of the few drawbacks to driving the 2019 Honda Ridgeline is that the touchscreen interface is a little overly-sensitive. The volume slider for the audio is difficult to get to the right volume, and the touch zones for controls are tiny. It is easy to hit the wrong button while driving over a bump in the road. Like the controls on the infotainment touchscreen menu, the driver aids on the Ridgeline are also pretty touchy. While there are plenty of these features that come standard via the Honda Sensing suite, these sensitive controls can lead to a lot of false alarms. This can be more of a distraction than an assist while driving and is something Honda needs to consider revising in the future. The front-wheel drive Ridgeline models do not have a superb tow rating. These trucks will only get you 3,500 pounds of towing, which is below average for front-wheel drive trucks in the midsize segment. If you are needing to haul more, you will need to upgrade to the all-wheel drive version, which can handle 5,000 pounds. 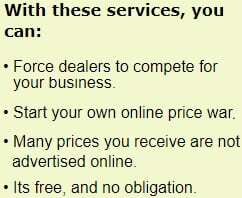 You are also going to want to make sure you purchase the aftermarket electric brake controller should your trailer require you to get one. The 2019 Honda Ridgeline is not the most capable off-roading midsize truck since it has such a low under-body ground clearance. The truck also lacks low-range gearing that would optimize it for rugged terrain like other 4WD trucks in its class. Instead, the Ridgeline functions more like a crossover SUV that has advanced traction capabilities for those harsh wintry months. Like the 2019 Honda Ridgeline, the 2019 Toyota Tacoma features a bundled suite of standard advanced driver aids. However, the Tacoma does not have the broad range of aids that the Ridgeline features. What the Tacoma does have is a larger towing capacity, coming in at up to 6,800 pounds. Unfortunately, the ride quality in the Tacoma is substandard compared to the smooth ride you get in the Ridgeline. Also, it is not as easy to get in and out of the Tacoma since it sits so high off the ground. The 2019 Chevrolet Colorado is a top contender against the Ridgeline this year, and its diesel engine options make it quite the attractive purchase. The cabin is well-thought out and has controls that are easy-to-use. For the most part, the ride feels pretty comfortable. However, there is not a lot of in-cab storage space available, and the front seats simply do not offer the amount of space that you get in the Ridgeline. Additionally, there are not as many standard safety features on the Colorado as there are on the Ridgeline. 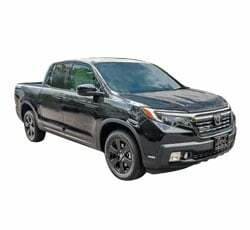 The 2019 Honda Ridgeline does not have the excellent towing capacity or off-roading capabilities that some drivers might be looking for in a midsize truck. What the Ridgeline does offer is a quiet and comfortable ride and the security of knowing that you will make it along harsh wintry road surfaces. Overall, the Ridgeline is a good option for those with families or who need a good payload capacity from their truck.